Genuine Leather (sheep skin) baby Winter boots. A perfect gift for this holiday season! The material is very cozy, soft and comfortable, good for the cold winter days to keep baby’s feet warm. 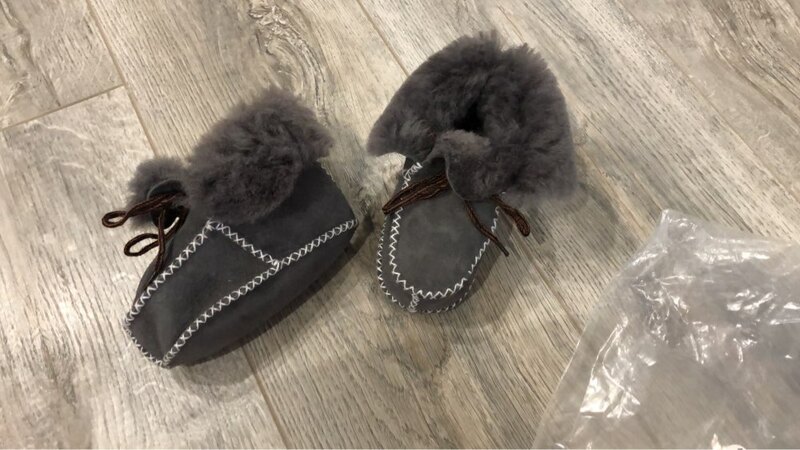 Suitable for newborn babies, toddlers, infant and kids both indoors and outdoors Anti-slip sole, the shoes have gripper bottoms to make sure your little one has the traction they need. Easy to take off or wear, keep feet warm and comfortable all-day long in winter. Its a perfect baby shower or birthday present for your baby. NOTE :For perfect size, please measure baby's feet to match the shoes's length from heel to toe, the age is just for reference. Very good quality. The same as on the picture. Drops slightly larger Fit's large!